These track issues are just the latest in a string of painful, crippling delays and cancellations caused by Penn Station’s crumbling, 100-year old infrastructure. And they will likely not be the last: Amtrak said Thursday that it will close some tracks in Penn Station this summer for major track repair, reports the New York Times. Disruptions are all but guaranteed. Amtrak did not go into detail on the timeline for such repairs, or how many tracks would be shut down at a given time. Amtrak has traditionally tried to do repairs on weekends to minimize delays, but the work is so urgently needed that crews will be out on weekdays. “It doesn’t mean that there are going to be lots of tracks closed every weekday for extended periods of time, and part of our goal is to make sure that we minimize that,” said Amtrak Chief Executive Charles Moorman. Three train lines use the 21 tracks into and out of Penn Station, so it’s likely that the LIRR, NJ Transit, and Amtrak itself will all be subject to some sort of service changes. Then again, planned repairs — which will cost tens of millions of dollars, according to the Times — are probably better than the chaos of the past weeks. Two minor train derailments — one on Amtrak on March 24, and another on NJ Transit on April 4 — had a massive impact on regional transit. The April derailment caused disruptions for nearly an entire week. 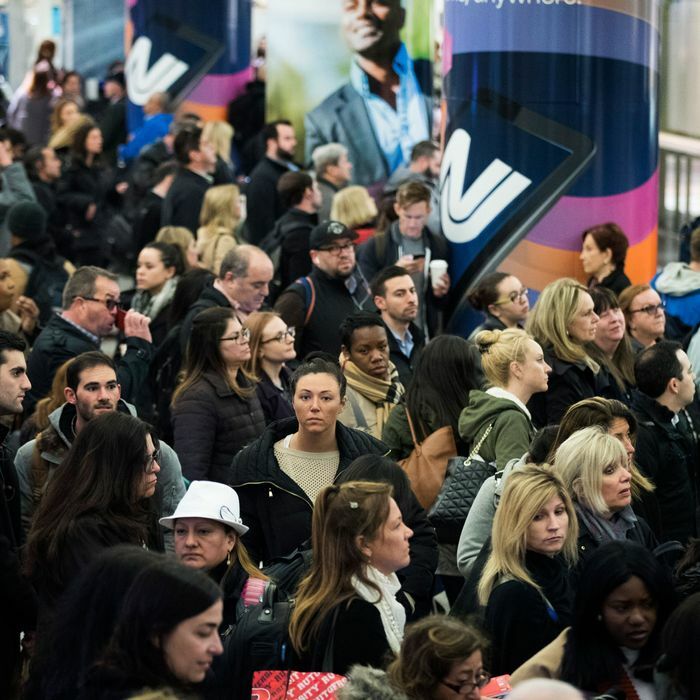 About 600,000 commuters travel into and out of Penn Station every day. Governor Cuomo has a billion-dollar plan to revamp the terminal, and while that will hopefully provide humane conditions for delayed commuters to wait, the real issue is the overworked and very old infrastructure in the tunnels below. The Gateway Program, a $24 billion project to build another Hudson rail tunnel, would expand capacity for Amtrak’s Northeast Corridor and New Jersey Transit and take some of the pressure off. At one point, this project was reportedly at the top of President Trump’s $1 trillion infrastructure-investment plan, but it’s unclear where that plan stands now. What is clear is that summer Fridays at Penn Station are poised to do the impossible: get even worse.